I've followed ToxicFox on Twitter for some time now. They do some really cool Christmas gifts plus some quirky stocking fillers... perfect for Christmas. When they got in touch and asked me to review some items I couldn't wait. The first item I received was the Claireabella large jute bag. If you haven't heard of these bags then shame on you! They are everywhere... I even saw an advert on tv while eating my tea the other night!The bags are handmade in the UK and personalised to you. You can choose everything from hair colour, skin colour, eye colour and outfit along with a word of your choice. The bag is just gorgeous! I obviously had mine personalised for me and I love it. The bag is perfect as a shopping bag meaning you can pop things into there instead of using a carrier bag - doing my part to save the planet. I like to keep mine in the car and that way it's always there when I need it. Paige loves it too and I think she would go crazy over a small one that was personalised for her. 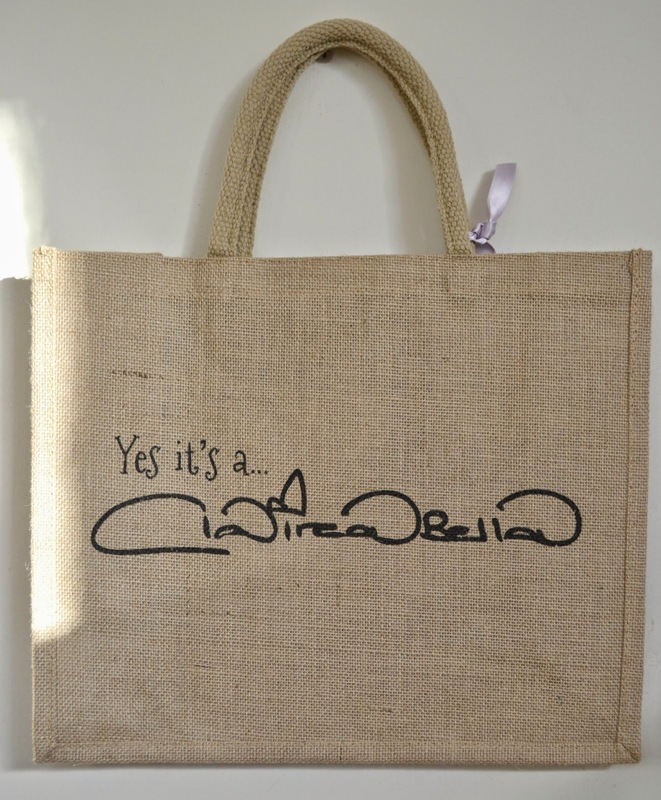 The bags are very well made and because they are handmade they feel really special. They have some gorgeous little details including ribbon, charms and Swarovski Elements. 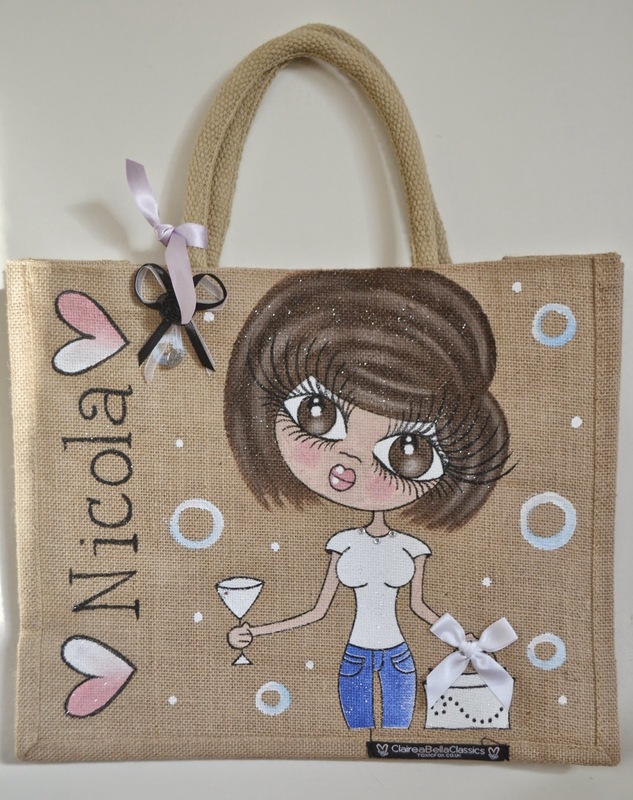 The bag retail at £39.99 which I think is a great price for a handmade personalised gift. They can take a couple of weeks to arrive as they are handmade but they are well worth the wait. Next up is the Typeography Of Love frames. These are cute wall prints in a frame. The heart print is a personal favourite as I think it looks lovely. 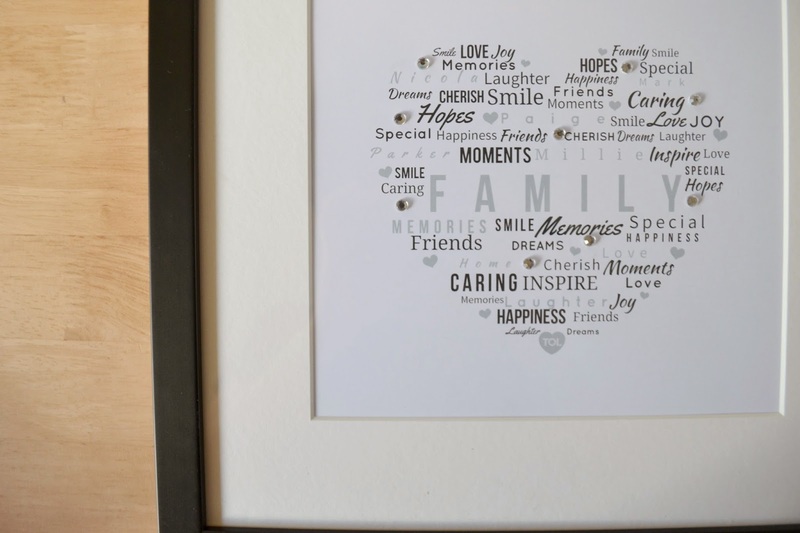 These would make such a cute gift for any family or couple. 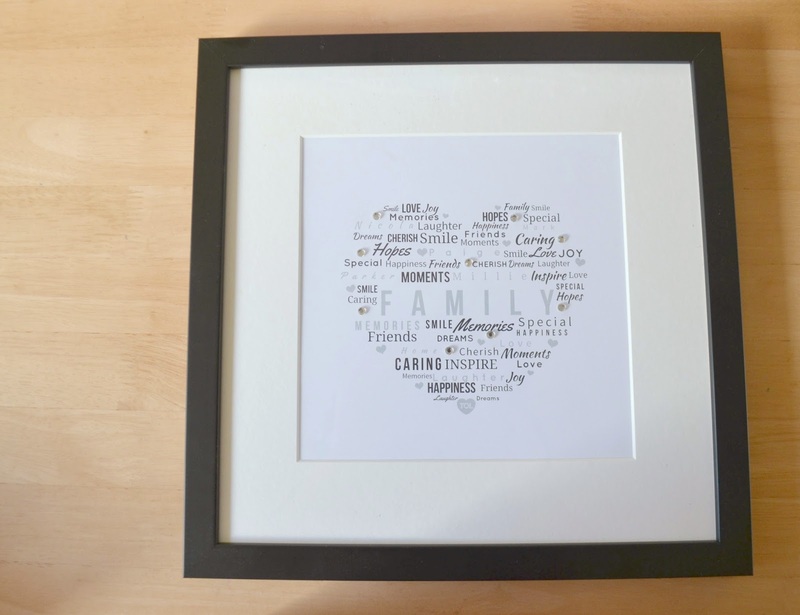 Again these can be personalised with your choice of 10 words, you also pick the frame and text colour. The heart is made up of words plus your 10 personalised words. Make sure to write your main word in the first position. There are also adhesive gems for that added sparkle. I wish that the frame had a stand on the back so you could display it on a table, it only has a hook to hang on the wall. The frame retails at £39.99. I also received two stocking filler type items. Racing grannie and a pamper pack. Paige loves the racing grannies, they are so funny. I have yet to try out the pamper pack but I am very much looking forward too it. The pack includes a hair mask, a foot cream, a face mask and a pair of relaxing eye pads. The stocking filler items start at £1.99 which I think is a great starting price for stocking filler items. The ToxicFox website is really easy to work your way around and it has some really cool gift ideas. You can use voucher code TFBlog to get 10% off any purchase. ToxicFox also have some gift guides available on their YouTube channel if you want to take a look.